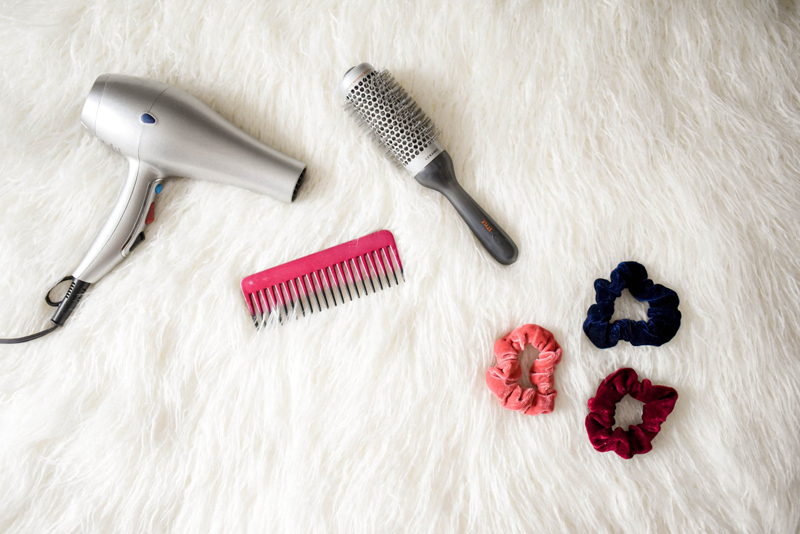 You may have read my review of the FanTail, a gadget that is supposed to make creating a messy ponytail updo easy and fast. I tried it on myself and failed to get a presentable hairstyle. You can read the article describing my attempts here: Fan Tail – Hair Product Review This article brought terrific response from readers. Thank you to everyone that responded. Every response I received noted the same problems with the FanTail – inability to make it work and the lack of proper instructions. Everyone I heard from was very dissatisfied with the product. Even though it is fairly inexpensive, they felt that it was wasted money. With this kind of feedback, I decided to return to the Helen of Troy website. This time I found the contact information for customer support. I emailed them about my concerns and yours. They in turn forwarded my inquiry to the proper department. Missy Beets, Vidal Sassoon Brand Manager, sent instructions and tips concerning the FanTail. I’m passing them on to you, as I understand them and in my own words. First put your hair into a ponytail, using a braided elastic band. Hold the ponytail up so that you can insert the FanTail over the base of the ponytail where the elastic band is located. Work the FanTail teeth into your hair at the base of your ponytail by turning it back and forth. This anchors it into your hair. When the FanTail is in your hair and secure, pull a portion of the ponytail hair through the center of the FanTail. If the FanTail begins to loosen, gently pull on the portion of the ponytail that is through the FanTail. This should tighten the ponytail and secure the FanTail. Backcomb the portion of the ponytail that you have pulled through the FanTail. This will fluff the hair and hide the FanTail. The backcombing should also further hold the FanTail down. Take small sections of your hair that you didn’t pull through and hook them under the hooks on the outside of the Fantail to further hide the FanTail. Ms. Beets assured me that they will look into improvements that can be made in the instructions on the FanTail card and to the FanTail itself. The moral of this story is: When you have problems with a product – no matter how inexpensive it may be – make every effort to contact the company. They are interested in your satisfaction and are usually willing to help. However, in the case of the FanTail, even these directions have not helped most users. to begin creating them yourself! This content was written by Lynne Chapman. If you wish to use this content in any manner, you need written permission. Contact BellaOnline Administration for details.